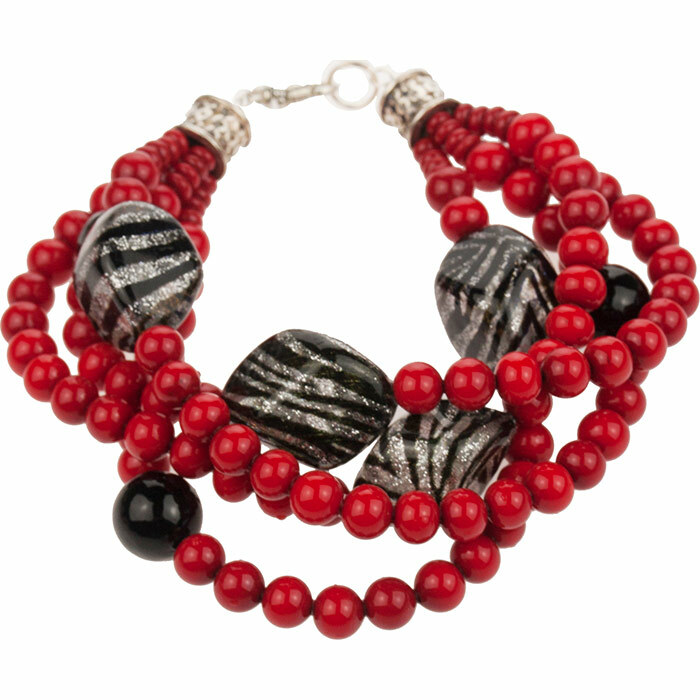 This stunning bracelet features the contrast between our rich Red Murano Glass Beads and Black Zebra Stripes.. This bracelet is 7 Inches long with 4 luxurious strands in our of our Red and Black Zebra Stripes. If you need another size, contact us.We directly import the Murano Glass Beads and design and assemble the bracelet here in our studio in the US.